i would like to thank LilMouse from Fan Forum for this photo!!! "BRICK" is the 24th best movie of the decade! This decade is almost over, and numerous sites related to films or television post lists with the most memorable movies of the last 10 years. In one of them "Brick", the first movie Emilie done, is characterized as the 24th best movie of the decade which is really honorable, considering the fact that it is also the debut of Rian Johnson who is the creator of "Brick". clevver tv's video about "Vogue photoshoot"
Clevvertv.com talks a little bit about Robert's and Emilie's Vogue photoshoot that took place a couple of weeks ago at the Los Angeles County Museaum of Art. First of all, the Australian network "7two" released a promo for the 6th season of "LOST". Furthermore, DARK UFO, posted some very interesting spoilers. One of them is related to Claire. You can see them in this link: "Spoilers"
A friend of mine -domilie4ever- has made a beautiful photo for Em's birthday. Domilie has also made two photos for Em's characters on "LOST" and "REMEMBER ME"
Happy Birthday Emilie!!!!!!!!!!!!!!!!!! Today it's Emilie's 28th birthday! I wish her the best and i hope that she is gonna be healthy, happy and beautiful for a veryyyy long time!!!! HERE IS A VIDEO DEDICATED TO EMILIE FROM YOUTUBE!!!! Furthermore, Summit Entertainment has released the full synopsis of Remember Me. Synopsis: In the romantic drama Remember Me, Robert Pattinson plays Tyler, a rebellious young man in New York City who has a strained relationship with his father (Pierce Brosnan) ever since tragedy separated their family. Tyler didn’t think anyone could possibly understand what he was going through until the day he met Ally (Emilie de Ravin) through an unusual twist of fate. Love was the last thing on his mind, but as her spirit unexpectedly heals and inspires him, he begins to fall for her. Through their love, he begins to find happiness and meaning in his life. But soon, hidden secrets are revealed, and the circumstances that brought them together slowly threaten to tear them apart. 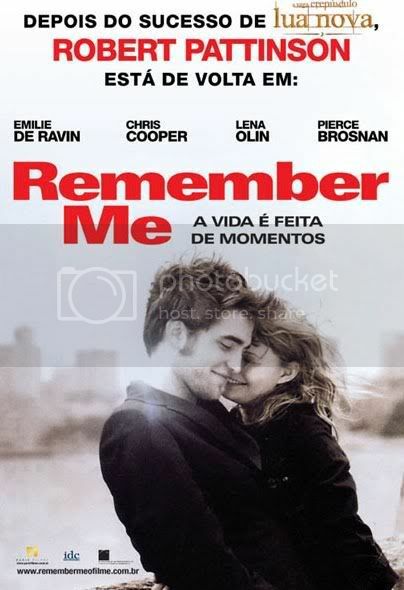 Remember Me is an unforgettable story about the power of love, the strength of family, and the importance of living passionately and treasuring every day of one’s life. 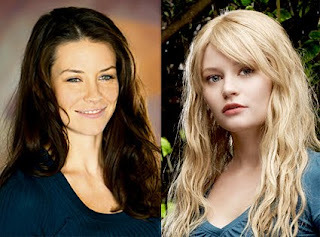 Last October Emilie was included in a list with the hottest scream queens of all time. I know that i posted this a little late but i just learned about the list.... thanks to Rachel Leigh from FAN FORUM for posting it there. "ABC" released 5 more sort promos. you can check them out in "sl-LOST"
"The Chameleon" release date changed???? Unfortunately, nothing has been announced about the American release date. If you learn sth more about it, pls let me know! ABC's "LOST" kicking off final season on the beach! ABC plans to launch the final season of "Lost" with an advance screening during a special Sunset on the Beach, and stars from the show have been invited. The event is scheduled for Jan. 30 at Queen's Surf Beach in Waikíkí, and fans from as far away as Ireland and Afghanistan are already planning to come. The sixth season of "Lost," which has been based in Hawai'i since it began in 2004, will have its national broadcast premiere three days later, on Feb. 2. The network could not yet confirm which cast members would be there, but previous previews have featured most of the primary stars. 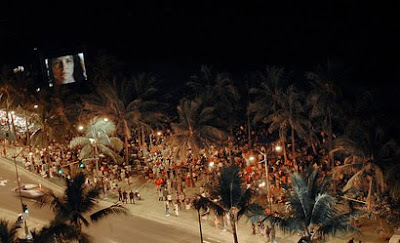 Thousands of screaming fans packed the beach when ABC held advance screenings in 2004, 2005 and 2006. Much to their delight, cast members — including Josh Holloway, Evangeline Lilly, Matthew Fox, Daniel Dae Kim and Jorge Garcia — repeatedly broke away from interviews with national media to shake hands, exchange hugs and sign autographs. For the final season's premiere, the show's executive producers — Carlton Cuse and Damon Lindelof — are expected to attend, ABC said. Other guests will be announced later. Mayor Mufi Hannemann said the city was proud to host the premiere because "Lost" was good for the Islands. "More than any other show, 'Lost' has proven that Honolulu can be an industry production center because the cosmopolitan nature of our great city gives us the ability to double for dozens of places around the world, and we have the talented crew and burgeoning infrastructure to support this industry," Hannemann said. Alison Gormley and her husband Adrian Hopkins plan to fly from their home in Ireland for the premiere, even though they vacationed on O'ahu last month. Gormley, 32, said she booked their January flight before the event was confirmed. "We are counting down the days," she said via e-mail. "We arrive in Honolulu the night before the event ... and not even the thought of severe jet lag and adjusting to opposite time zones can take away our excitement." A fan of the show since it first aired — she said it has taken her on a journey — Gormley is still in shock over the chance "to see our favorite 'Losties' on the red carpet and watch the world premiere on a 30-foot screen under the stars on O'ahu." Jonine Woods, a former Hawai'i resident serving with the U.S. Air Force in Afghanistan, plans to celebrate the end of her six-month deployment at the event. "Lost" is her favorite show, she said. "I think it is a once in a lifetime chance to get out of the norms of life and meet other fans of the show," the 27-year-old Woods, a staff sergeant, wrote in an e-mail. "It is also a chance to not see it on a little TV and experience it in a theater type setting, the way I think 'Lost' should be seen," she said. "Who knows, I might be able to meet a few cast members." Also LOST is nominated for WGA Award for BEST DRAMA SERIES this year!!! According to Doc Arzt, the LOST Season 6 premiere will screen at the Sunset On The Beach big screen on January 30th. ABC might only show the first hour of the premiere. Let's hope that Emilie will attend the event!!!!!!!!!!!! These are Emilie's lost season 6 promo pics!!!!!!!!!!!!!!!!!!!!!!!!!!!!!!!!!!!!!!!!!!! I would like to thank kat for posting this in her blog!!!!!! 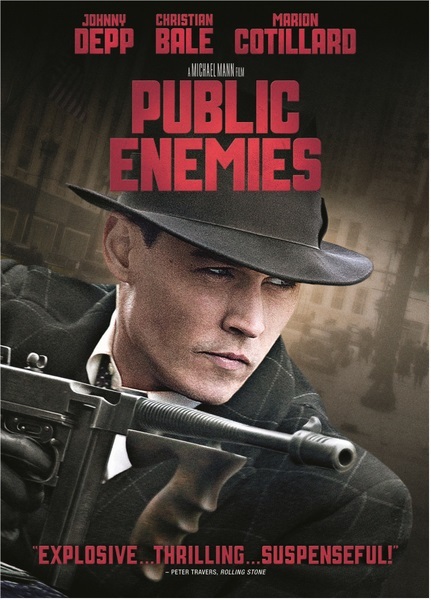 "Public Enemies" is out on DVD/Blu-Ray!!!!!!!! This the lost promo i posted as couple of days ago in better quality!!!!! It was also confirmed that the 6th season of LOST will be back in the UK on Sky 1 and HD Friday’s at 9pm from 5th February 2010. Here is a new promo for the 6th season of LOST!!!!!!! The quality of the video isn't very good but i promise that when i will find it in HD i will post it! thnx to sl-LOST for this!!!!! 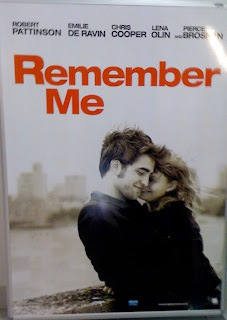 according to shockya.com this is the first official poster of remember me!!!!!!!!! isn't it great? ?